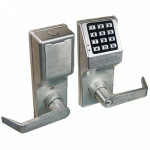 PDL3000IC - PIN/Prox Cylindrical High Security Lock with Interchangeable core. - Less SFIC Core. 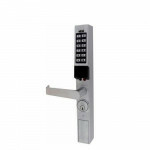 ..
PDL3000IC - PIN/Prox Cylindrical High Security Lock with Interchangeable core. - Less Sargent Core. .. The Alarm Lock PDL3500CR Straight Lever Classroom Function Trilogy Mortise Proximity electronic batt.. The Alarm Lock PDL3500DB Straight Lever Deadbolt Function Trilogy Mortise Proximity electronic batte.. 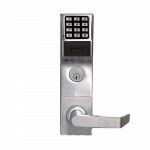 The ETPDLR1G-V99 Alarm Lock Trilogy ET Series Exit is an electronic battery-operated digital outside.. 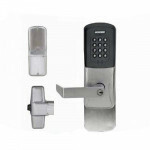 The ETDLS1G-C50 Alarm Lock Trilogy ET Series Exit is an electronic battery-operated digital outside .. 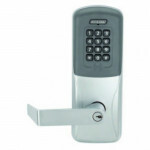 The ETDLS1G-D93 Alarm Lock Trilogy ET Series Exit is an electronic battery-operated digital outside .. 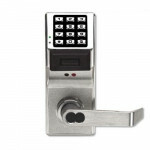 The ETDLS1G-S88 Alarm Lock Trilogy ET Series Exit is an electronic battery-operated digital outside .. 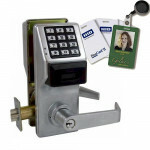 The Locknetics by Schlage CO 200 CY 70 PRK RHO PD is a CO 200 Series cylindrical, Classroom/Storeroo.. The Locknetics by Schlage CO 200 993R 70 PRK RHO PD is a CO 200 Series exit trim for Rim/CVR exit de.. The Locknetics by Schlage CO 200 993S 70 PRK RHO PD is a CO 200 Series exit trim for Surface Vertica.. The Locknetics by Schlage CO 200 993M 70 PRK RHO PD is a CO 200 Series exit trim for Mortise exit de.. 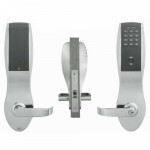 The Sargent G1-8276PKL Proximity and Keypad Entry Lock and Deadbolt w/cylinder override mortise lock.. 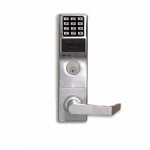 The Sargent G1-10G77 PKL Proximity and Keypad Entry Lock w/cylinder override is designed for areas t.. 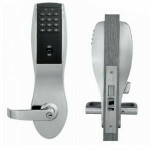 The Sargent G1-8278PKL Proximity and Keypad Entry Lock and Deadbolt w/SFIC cylinder override mortise..